Now that we’ve gotten through Thanksgiving it’s time for December and all that it brings, which means the start of the holiday baking season and decorating. As we move through the month I’ll several of our traditions and our favorite holiday recipes too. I’ve been known to decorate every room in the house at Christmas. 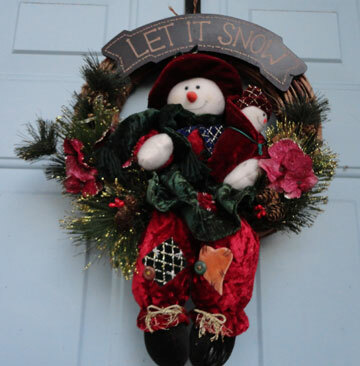 From wreaths on the outside door to Santa soap dispensers and snowman towels in the bathrooms. How much decorating we actually do changes a bit from year to year, but our Christmas cookie baking never changes (usually we make 7 or 8 different types). Cookies, hot cocoa, Christmas music and tree trimming–It makes for a perfect Sunday afternoon. After we moved to Florida from New Jersey it was much warmer, so we turn the A/C down low to put us all in the mood. 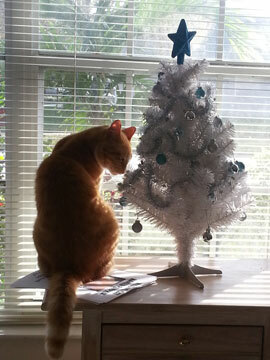 We usually have one large tree set up in front of the living room window and it is covered with different ornaments. Every year I would buy all the kids a new ornament for the tree. Eventually we outgrew the tree, so now the ornaments get rotated from year to year. These last few years I had to adjust my decorating because we have a very mischievous cat in our midst. His name is Pumpkin and he likes to climb things and knock things over. So I’ve only been putting up this small tree. As you can see it’s too small for him to climb, and we’d put the presents on the floor underneath it. This year I’m determined to go back to our full sized tree. I miss it, somehow it just didn’t feel like Christmas without it. After I have it up I’ll add the picture to one of the future blogs. But in the meantime, what is your tree trimming tradition? Do you do it before Thanksgiving or afterwards? Do you do anything special or just dive right in? 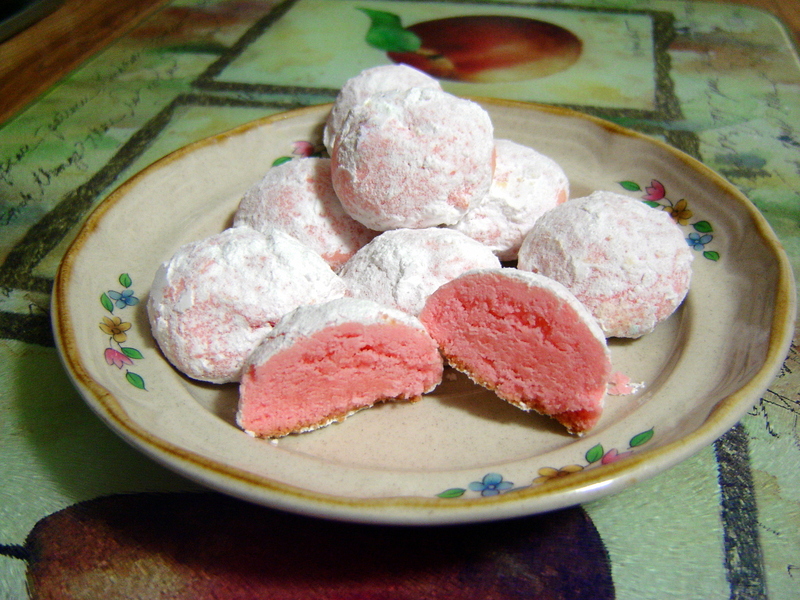 I’m sharing my recipe for one of the girl’s favorite cookies–Meltaways. They love making them as much as eating them. I think it’s because with the dough tinted red and green it’s more like playing with play dough, especially when they were little. I always have to make a double batch of these if they are home. If you try the recipe, let me know how you like them. Oh one other thing, even though over the years I have started celebrating Christmas, I am Jewish and I celebrate Hanukkah. I didn’t celebrate my first Christmas until I got married, as the children grew up we continued to celebrate both holidays and we have traditions for both. I’ll be posting some pictures of my menorah as the nights continue and share some of those traditions as well.